Living in Brighton I’m lucky enough that there are plenty of different restaurants to choose from that cater for my plant-based diet. However, there are only a handful that I regularly visit. Food For Friends has long been one of my favourite vegetarian restaurants, so Marcus and I decided to pop down for a long, leisurely lunch after we spotted they had a new Mezze Menu. Sharing small, tapas style plates has always been my favourite way to dine. I’d much rather eat lots of small dishes than one large meal – it just makes it so much more exciting tasting different flavours and deciding which one is your favourite with whoever you are sharing the dishes with (and hoping that they don’t like the ones you love the most!). We were seated at our favourite table at the end of the room with windows surrounding it. While we read through the menu and people-watched outside we picked at some green and black olives with sun-dried tomatoes to keep our stomachs from rumbling. 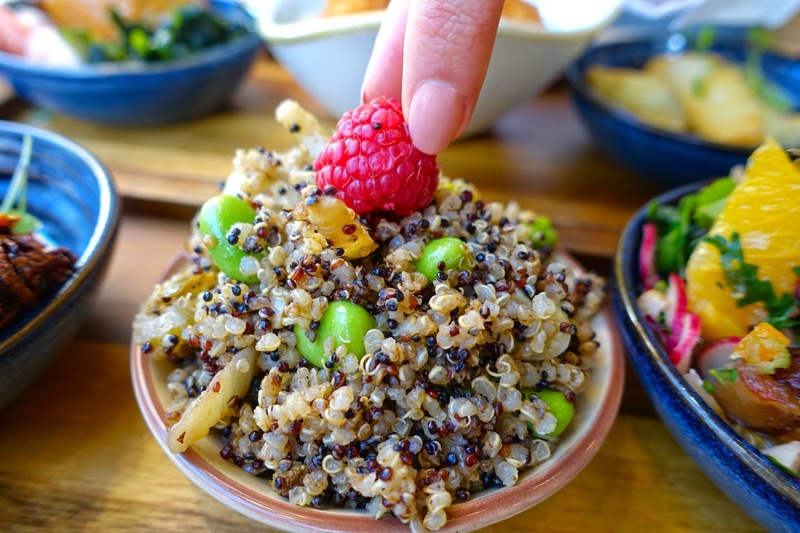 The Mezze menu included all kinds of delicious things such as quinoa, sweet potato, tahini dips and tofu – an absolute dream for any healthy foodies out there. It’s quite unusual to find a restaurant that serves similar food to what I cook at home, so I was almost somersaulting with joy when I read the new menu! 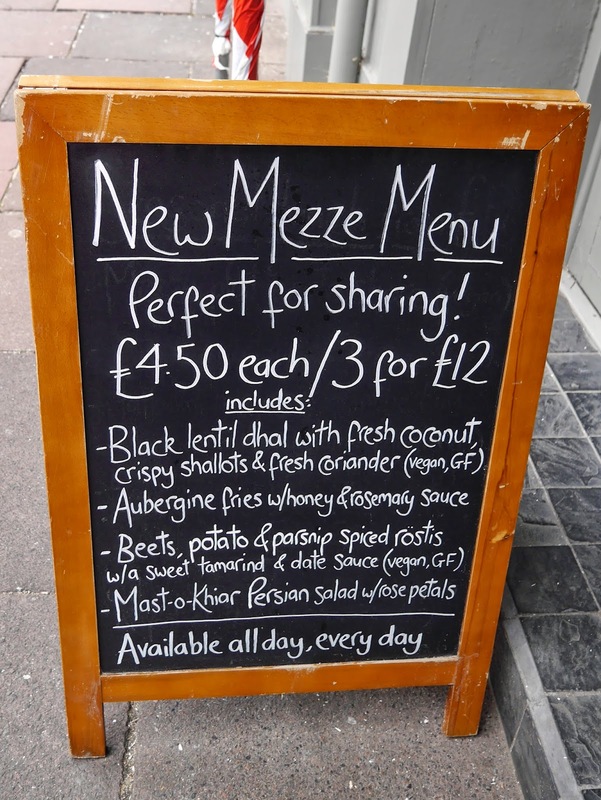 You can order the mezze dishes as a starter or order a few as a main course. 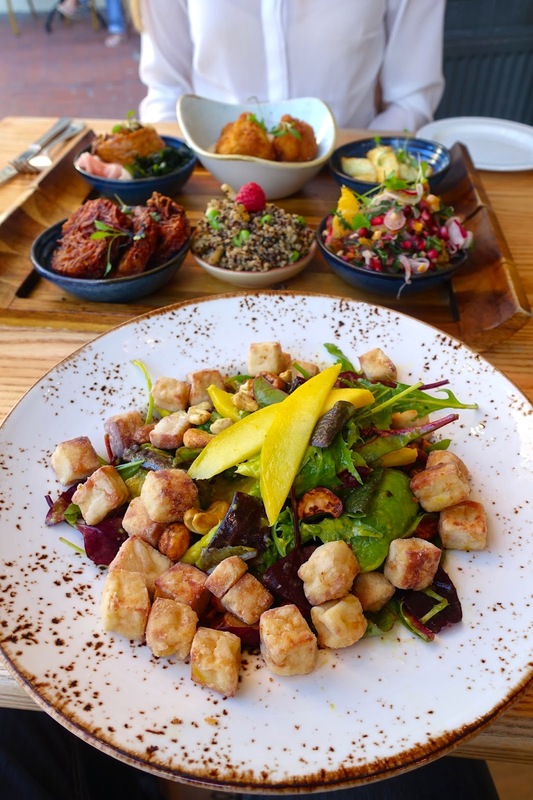 We ordered 5 small dishes and Marcus also wanted to order the salad that he has always loved – the crispy tofu, mango and avocado salad with a side of haloumi. …Crispy Cauliflower Florets with a coconut and cauliflower Purée. Simply delicious. Oh and please don’t be put off by the fact that it’s a vegi restaurant – Marcus is a huge lover of meat and still loves this place! 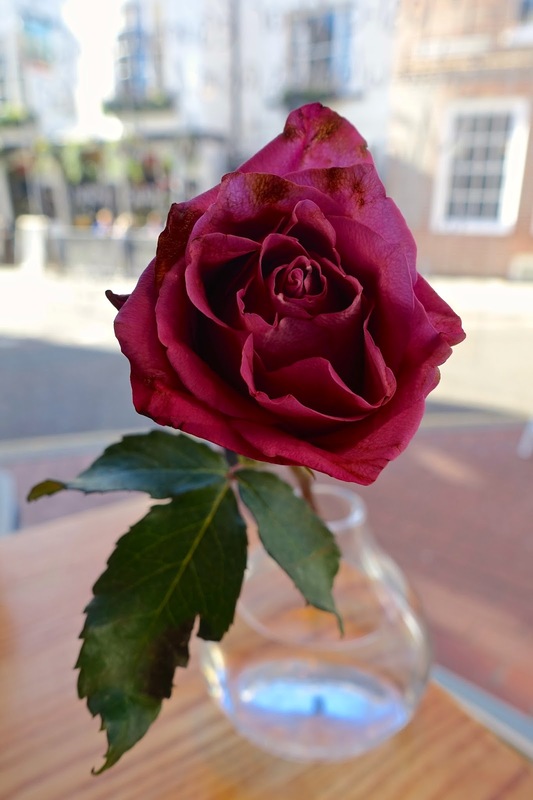 If you ever find yourself in Brighton hunting for a restaurant for a quick bite to eat or a romantic dinner, pop by Food For Friends. I’ve been so many times that nearly everything has been tried and tasted, sorry tested!